Apex Legends Announced, Free to Play Battle Royale Title Now Live | Nerd Much? There were rumors of its existence over the weekend, but today Respawn Entertainment made it official. They and EA have stealth launched a new battle royale title dubbed Apex Legends which is set within Respawn’s Titanfall universe. Although set within the Titanfall universe, Apex Legends doesn’t actually feature any titans. Instead, the free to play battle royale game is hero based in design, similarly to Blizzard’s Overwatch. Although Apex Legends is a free to play game, it will be monetized via premium content. Respawn confirmed that their battle royale title will feature themed in-game seasons, with the first coming our way in March. As seasons debut, so will Battle Passes for Apex Legends. Much like Fortnite, players that purchase a Battle Pass can earn themselves exclusive cosmetic items which are only available for those that purchase the pass. Apex Legends is played in teams of three with the overall battlefield consisting of 60 players. Respawn advises players to stick with your teammates and play as a cohesive group. They note that if you “Try to strike out on your own, and you’ll be up against other teams who can easily overwhelm you.” The game also incorporates a Smart Comms feature that allows for you to exchange critical information with your team such as item and enemy locations. 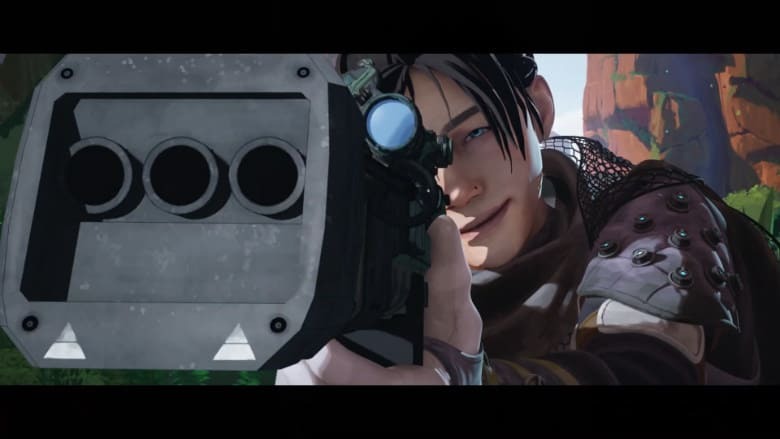 We’ll have to wait and see whether Apex Legends has any legs against the already stiff battle royale genre. With Respawn at the helm, the game has a solid shot. Want more of the latest video game news? Check out our hubs for PS4 and Xbox One.